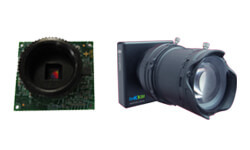 The See3CAM_10CUG is a 1.3 MP Custom Lens CMOS USB Global Shutter Camera Module. 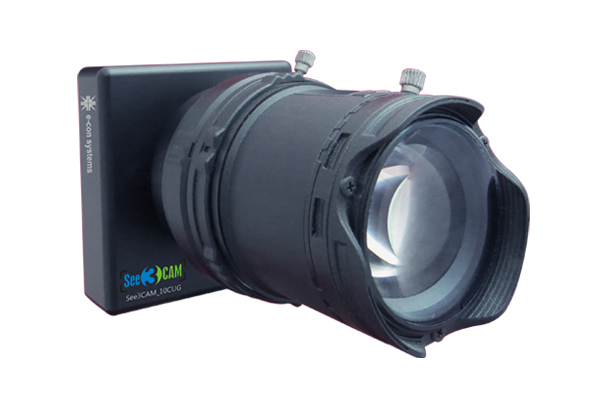 This is a S/CS/C Mount global shutter camera and is UVC-compliant SuperSpeed USB 3.0 Camera. It is based on the Aptina / ON Semiconductor AR0134 CMOS sensor. See3CAM_10CUG is also backward compatible with USB 2.0 host ports and does not require any special camera drivers. The See3CAM_10CUG, Color(RAW Bayer)/Monochrome USB camera is capable of supporting 720p@60fps (HD) and 1280x960 resolution@45 fps (Full Resolution) when interfaced to a USB 3.0 host port. We have been using the See3Cam for the last year in our mobile robots and are very satisfied with this product. The cameras have been free of defects at incoming, and we have also experienced zero field failures. Read More..
USB 3.0 device with USB 3.0 Micro-B connector. Our Standard camera board will have USB 3.0 Micro-B connector. Customers who own platforms that support SuperSpeed USB 3.0 port and are interested in evaluating the 1.3 MP Color (Bayer - RAW) or Monochrome USB camera can directly buy the See3CAM_10CUG from e-con Systems. 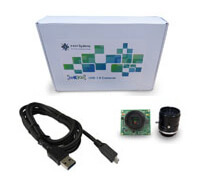 In addition to See3CAM_10CUG - Color (RAW - bayer)/Monochrome USB Camera, the evaluation kit comes with e-CAMView - Windows sample application for video preview and still capture along with the UVC Extension features (for Windows 10, Windows 8, Windows 7, Linux and MAC *) or QtCAM - sample application for video preview and still capture along with source code (for Linux) and support for 4 weeks. The See3CAM_10CUG,Color(RAW Bayer Output)/Monochrome USB camera has CS mount lens holder mounted above the sensor. This allows various compatible lenses to be used with Color(RAW Bayer Output)/Monochrome USB camera as shown below. CS-mount lensCan be directly mounted on this camera. 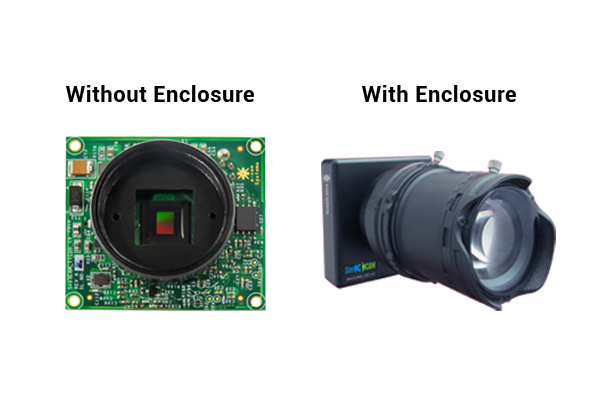 Note: For bulk production, Color(RAW Bayer)/Monochrome USB camera module without CS-mount holder is also available. 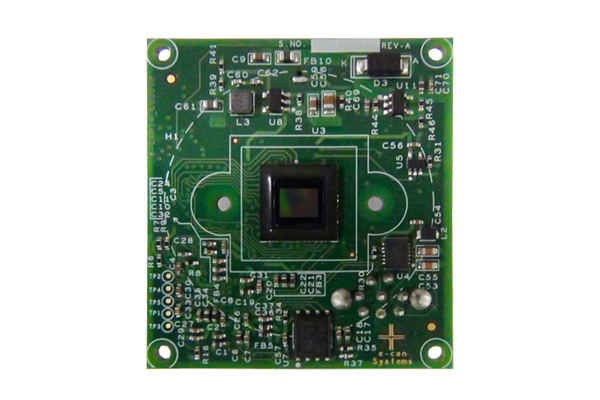 e-con Systems also introduced the new 1.3 MP Custom Lens USB 3.0 Camera (Full Color) - See3CAM_11CUG based on the Aptina / ON Semiconductor AR0134 image sensor. This USB 3 camera is capable of streaming 720p(HD) @ 30fps and 1280x960 @20 fps when interfaced to a USB 3.0 host.